The Code of Conduct Tribunal has ruled that Senate President Bukola Saraki's trial must continue. Saraki is standing trial on a 13 count charge of false asset declaration while he was governor of Kwara state. 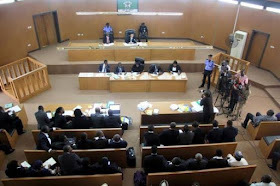 The Code of Conduct Tribunal in its ruling, said the trial must continue despite Saraki's appeal at the Supreme court.